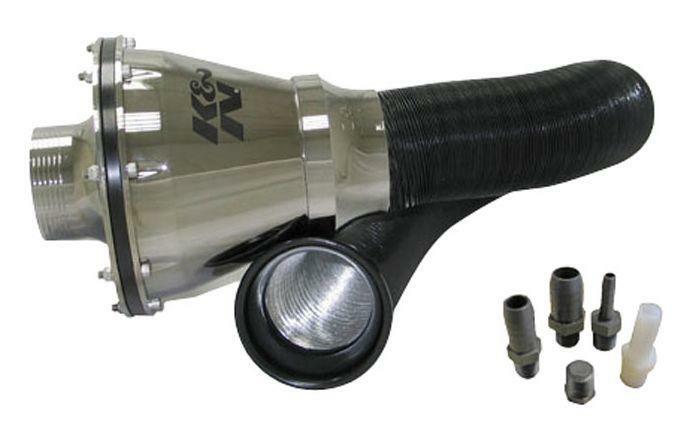 K&N Apollo Cold Air Induction Systems incorporate a washable/reusable K&N High-Flow Air Filter within a protective shell. They come with custom mounting hardware to fit specific vehicle applications. The Apollo’s shell reduces heat build-up and feeds cool air into your engine, resulting in improved volumetric efficiency and increased power gains. Apollo Cold Air Induction Systems allow for updating your vehicle’s intake system while retaining a closed environment.